Small evergreen tree, up to 7m tall, native to tropical South America; leaves elliptic to obovate-lanceolate; flowers pale yellow, 2.5mm. 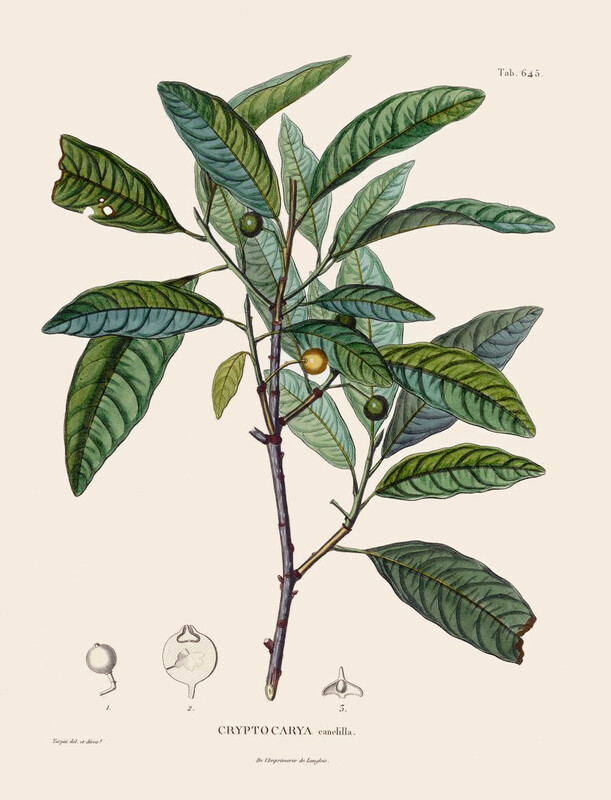 Extracts of the wood and bark of Aniba canelilla contained the cinnamon-like smelling 1-nitro-2-phenylethane, also found in wood and bark of one variety of O.odorifera. This compound is responsible for the cinnamon-like odour of both trees. Main components of an supercritical fluid extract from A.canelilla bark were 1-nitro-2-phenylethane (71.1%), methyleugenol (9.2%), bisabolol (7.0%), and eugenol (3.9%).